Event space opening in autumn includes The Olympic City Hall with an overall venue capacity of 10,000. 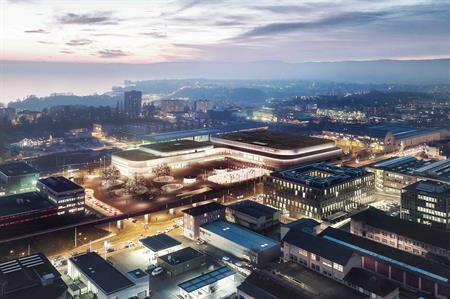 The Vaudoise aréna, a new sports and events complex in the Lausanne and Montreux region, is set to open in autumn. In preparation for the Youth Olympic Games taking place in January 2020, the existing Malley ice rink is being transformed into the region’s largest sporting and meeting venue, with capacity for 10,000 people. The new venue will provide event organisers with the option to use The Olympic City Hall and a restaurant and a VIP bar of 1,200sqm, all of which will be convertible to multiple conference and seminar rooms available for hire. The venue also boasts 10 VIP boxes with a capacity of 158 seats, along with a business lounge and three premium lounges with a capacity of 138 seats. The Vaudoise aréna was built with innovation and sustainability in mind, with the integration of over 2,000 solar panels spanning the roof of the venue. The swimming pool is also heated by renewable energy. Will industry mergers and acquisitions continue to gather pace?